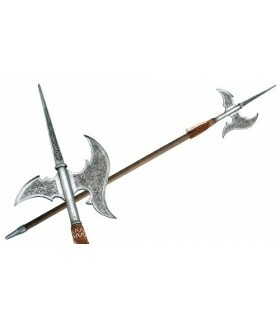 Spears and halberds There are 36 products. Spear tips and medieval and vintage halberds. 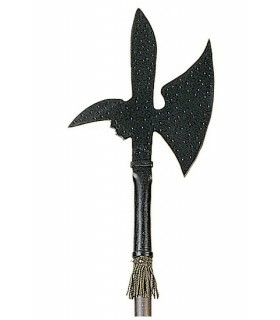 German halberd XI century. A enastada weapon wooden shaft about two meters in length and has at its head a spearhead weapons and upper breast, a cross-shaped blade ax blade on one side, and a breastplate punctured or engage smaller by its opposite. Cederic medieval spearhead made of steel with blunt tip. 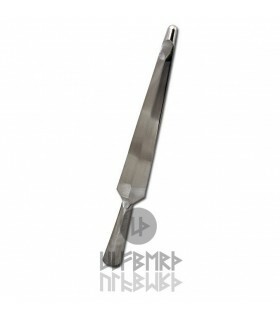 Hand-forged, functional spearhead to fit a handle of approximately 42mm. 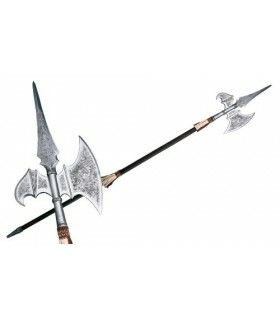 medieval halberd 205 cms. long. It is made of wood and zamak. 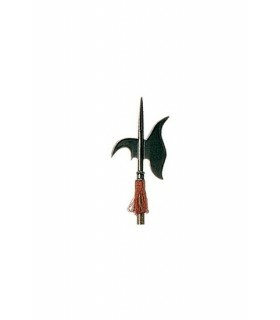 The halberd is a weapon enastada about two meters in length and has at its head a spearhead weapons and upper breast, a cross-shaped blade ax blade on one side, and a breastplate punctured or hook more small by its opposite. medieval pike with detailed engravings. 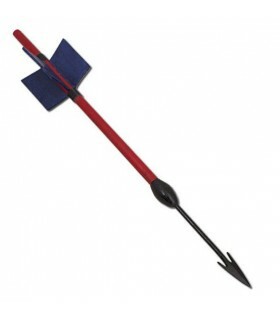 Pikes are similar to a spear, but much larger in length, measuring between three and four meters normally. 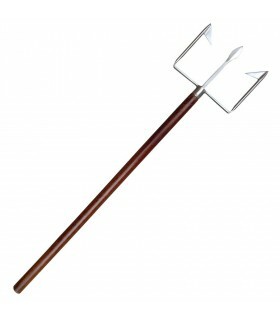 As used, the pikes were gaining in size, both horn and tip. Lanza Italian Ranseur the XVI century detachable into two pieces. Made of wood with carbon steel blade. It includes decorative tassels. Long, 188 cms. Portuguese medieval halberd s. XVI, disassembled into two parts. Made of wood with carbon steel blade. It includes decorative tassels. Long, 190 cms. 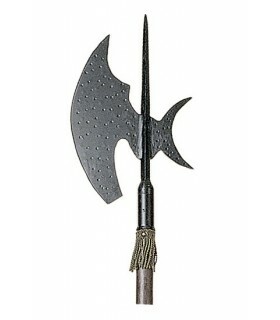 Halberd XVI century. Measure 205 cm. Weight 2,800 gr. Roman Gladiator Trident Retarius. It includes trident along with the wooden stick. 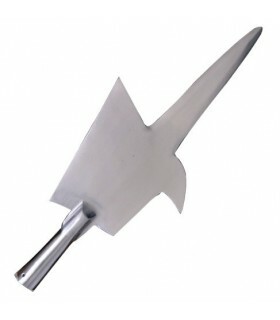 Long throwing spear forged in steel. 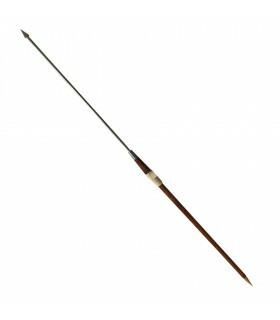 The total length of the spear is 102 cms. Lanza Italian Guisarma s. XVI, disassembled into two parts. Made of wood with carbon steel blade. It includes decorative tassels. Long, 184 cms. Roman Pilum made of wood and forged steel. Tip has at its base to nail him in the sand. It is threaded to send more easily. Length: 215 cms. 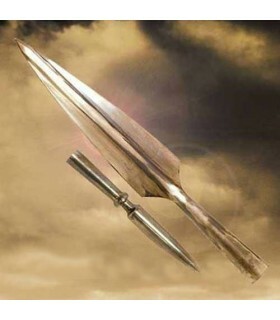 The pilum was the basic weapon of the Roman soldier with the gladius sword. 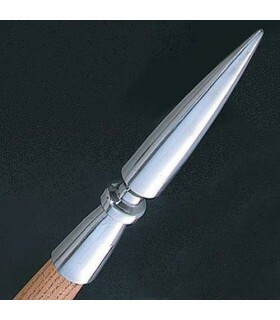 Roman, 224 cms long Pilum. Roman Pilum with a length of 224 cms. long. It comes disassembled for easy transport. screws to be riveted are provided. Pilum carried by the Roman legions. Length: 210 cms. Made of iron and wood. Served disassembled for easy transport. Greek launch of the firm Condor manufactured with 1075 carbon steel blade and wooden mast. 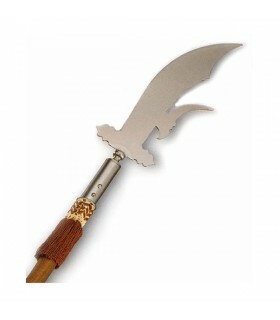 Includes leather case for the tip of the spear. 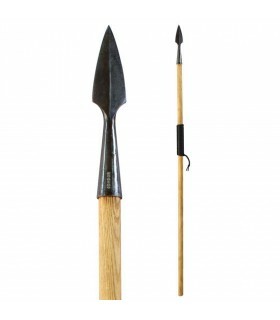 Plumbata used by the Roman legions since the beginning of the third century AD It is a hand spear that contained lead and was used as a dart or arrow and could be launched with the hand and cross enemy shields. 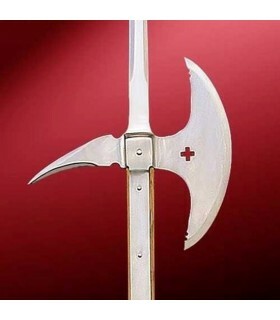 Replica of the Swiss Sempach halberd used by soldiers of the XIV-XV century made of high carbon steel. p>It takes its name from the Battle of Sempach (Switzerland) in the year 1386 where its use became popular. Tip of the spear Greek was the integral part of the primary weapon of the Hoplite, a soldier on foot heavily armed, whose primary weapon was the long spear-shaded'. It was a weapon that varied in length from 6 to 18 feet, and that could be used as a spear or as a pika. Made by Windlass Steelcrafts®. 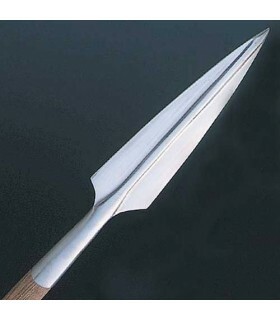 Cap for the tip of the spear of the Greek style that protects the handle and prevents splitting in addition to give balance to the spear. Manufactured by Windlass Steelcrafts®. Finishing tip of the spear made of mild steel with an improved appearance. Brings balance to the spear. Ready to ride. Made by Windlass Steelcrafts®. Finishing tip of the spear level. Manufactured in mild steel with an improved appearance. 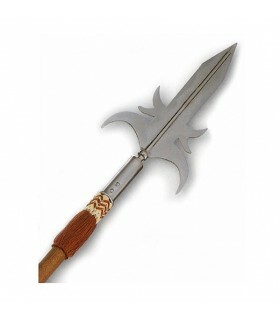 Brings balance to the spear. Ready to ride. Made by Windlass Steelcrafts®. 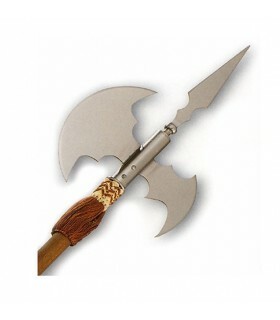 Halberd Medieval based on the existing of the SIXTEENTH century. Mast in wood and heads in Zamak. 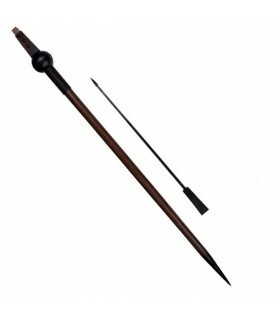 Spear Medieval based on the existing of the SIXTEENTH century. Mast in wood and heads in Zamak. What is the difference between a spear and a halberd? 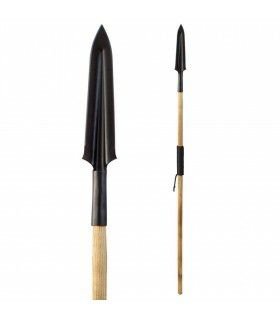 The spear is a weapon composed of a sharpened and pointed tip in addition to a shaft. 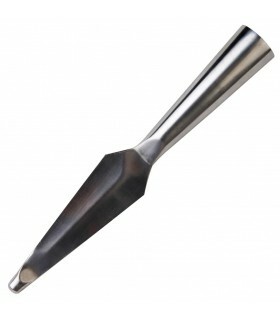 The shaft is normally wood while the tip of the spear is made of metal to be able to be stabbed without being broken. 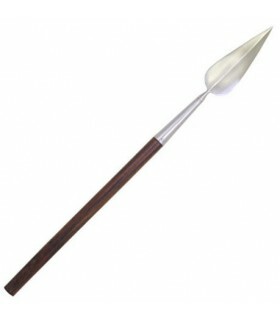 The spear was mainly used as a weapon as a throwing weapon but also for hitting the opponent from a safe distance. 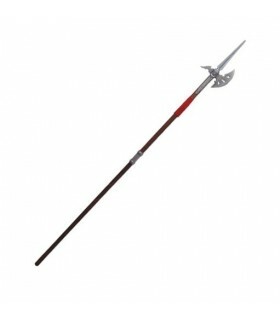 Because of its length it became an excellent weapon to be thrown, however its functionality was very limited in the melee battle by the same motive. This is a very ancient weapon since the first hunters used it as a stick whose tip was a stone. A huge number of nations throuhput History have used them, among them we can remark Romans, Japanese, Greeks and some African tribes. Halberd; is a weapon consisting of a shaft and a point in its extreme, a transverse blade and a point in its opposite part.. The ahaft is normally made of wood and its head of metal. The shaft is normally made of wood and the armed head is made of metal. It is never used as a weapon because it was used in hand-to-hand combat. It was very effective against cavalry and infantry who used short weapons that could not hit their opponent. It was a very effective weapon for mid-distance combat, but very inefficient in short runs and quite useless in long-distance combat. It was used by many villages: Chinese, Germans and Scandinavians. 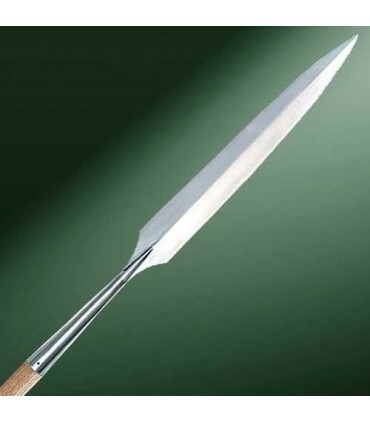 Later it was adopted by Italians, French, Japanese (with the famous Naginata) to become progressively a ceremonial weapon designed for the defense of the most important members of a state. Nowadays it continues to be the main weapon of the Gr. Suise, the soldiers who watch the Vatican. 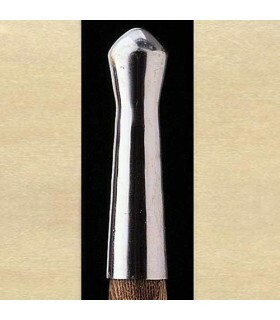 The Viking Spear, which has the fine point. 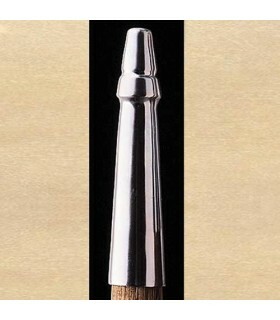 The Roman Pilum has the tip very thin and very long. The Greek Spear that has the short point. Steel, carbon steel and stainless steel. The Japanese Yari who has the tip with four holes forming the letter X. 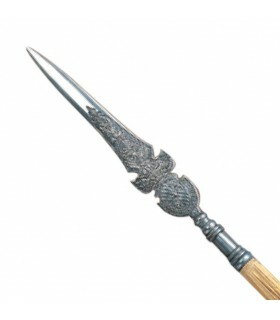 The Corcesca spear which shows a different design with its lateral points. 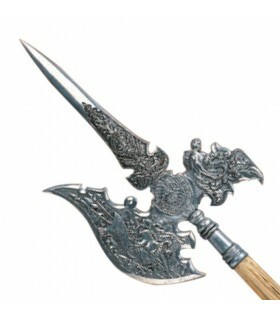 It was used as a halberd. The Guisame Spear which has two curved blades. 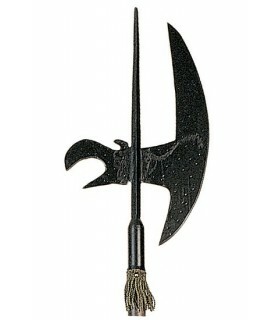 It was used as a halberd. The Swiss Halberd, the Spear, the Portuguese Halberd and the Spanish Halberd. 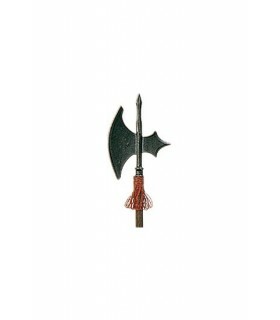 All Halberds are very similar with a design that changes slightly between them. 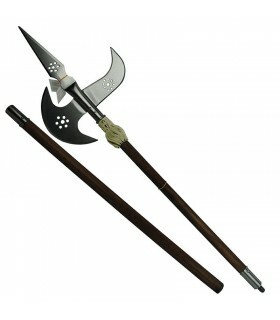 If you are looking for a different and decorative weapon, do not hesitate to choose a spear or a halberd. 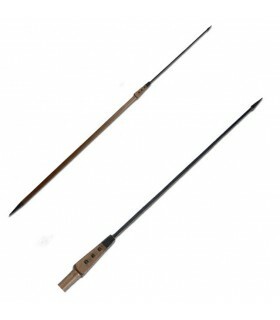 These are historical weapons that have shown an essential effectiveness in the result of battles, nowadays we can see them in the most famous armies of Europe, such as The Swiss Guard. If you need more info, do not hesitate to contact us.